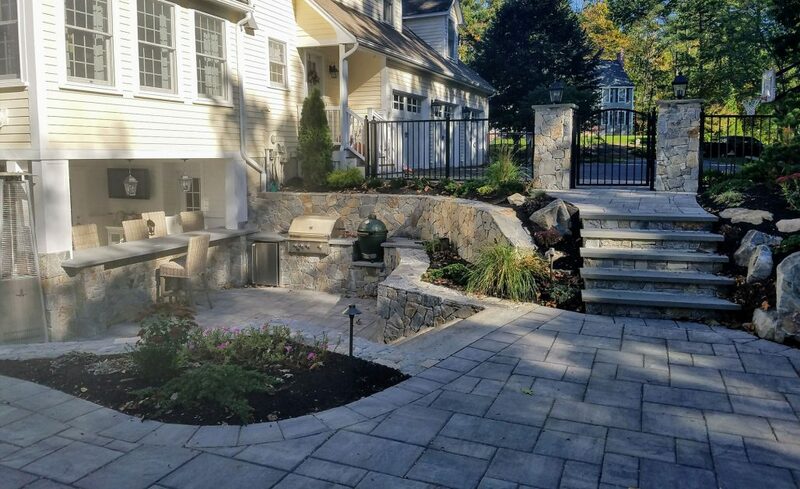 When planning and designing outdoor expansion projects, most likely the design professional is tasked to include outdoor kitchens in concert with other hard and soft scape features. Today’s homeowners and gourmands demonstrate an appetite for lifestyle preferences that effortlessly transition from indoor to outdoor kitchens with the same appliances and gadgets in both locations. From a design perspective this blurs the lines from the inside traditional kitchens and the emerging trends in outside kitchens, representing way more than the Weber charcoal barbeque. These designs often contemplate the party moving outdoors in the summer season with stylish and functional features not unlike the primary kitchen, which offer counter intelligence with a full host of appliances including, grill, smoker, pizza oven, refrigerators & ice makers, wine coolers & beer kegs, washing and prepping stations. •	Lights, action and sound with completed experience of ambient, mood & functional lighting, discreet music and television entertainment. •	What ultimately matters is the client plans on using the space as part of the expanded outdoor entertaining experience. Responsive and adaptive design begins with responsive and adaptive thinking. It all connects. Contact IVY STUDIO LLC at 781 591 0300 or vern@ivystudioMA.com to begin the process of turning your inside out.